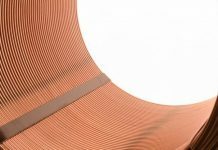 The International Copper Study Group (ICSG) released preliminary data for December 2018 world copper supply and demand in its March 2019 Copper Bulletin. The increase in world mine production of about 460,000 t copper was principally due to constrained output in 2017 (mainly in Chile, Indonesia and the DRC) and to an unusually low rate of overall supply disruptions in 2018. Besides the restart of Katanga’s 300,000 tpy copper mine in the DRC no major new copper mine started in 2018. Production in Chile, the world’s biggest copper mine producing country, increased by 6% primarily because output in February/March 2017 was restricted by a strike at Escondida (the world’s largest copper mine). Indonesian concentrate output increased by 5% due to the fact that comparative output in 2017 was negatively affected by a temporary ban on concentrate exports that started in January and ended in April. SX-EW production in the Democratic Republic of Congo (DRC) increased by 16% and Zambian mine output increased by 8% as a result of the restart of temporarily closed capacity in both countries. After a strong increase over the last few years due to new and expanded capacity, output in Peru (the world’s second largest copper mine producing country) stabilized. Although no major mine supply disruptions occurred in 2018 overall growth was partially offset by lower output in Canada (-10%) and the United States (-3%). On a regional basis, mine production is estimated to have increased by around 10% in Africa, 3.5% in Latin America and 10% in Oceania but declined by 4% in North America and remained essentially unchanged in Asia and Europe. World growth was constrained by an unusually high frequency of smelter disruptions and temporary shutdowns for technical upgrades/modernizations. The main contributor to the growth in world refined production was China due to its continued expansion of capacity. A rise of 1.3% in Chile was a consequence of a recovery from 2017 when output was negatively impacted by a series of smelter maintenance shutdowns. However, despite this increase, Chilean output in 2018 was still 6% lower than in 2016 as it was also impacted by temporary smelter shutdowns while undergoing upgrades to comply with the new environmental regulation. Japanese output rose by 7% recovering from reduced output in 2017 when a major smelter undertook extended maintenance. On a regional basis, refined output is estimated to have increased in Africa (10%), Asia (1%), Europe (1.5%), Oceania (5%) and Latin America (1%). Chinese apparent usage grew by around 5% driven by a 20% increase in net refined copper imports. It is possible this development was influenced by a tightness in the availability of scrap in China. 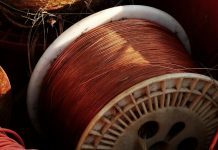 Among other major copper users, demand increased in India, Japan, the United States and the EU but declined in Russia, South Korea and Taiwan (China). Preliminary data indicates that world ex-China usage remained essentially unchanged. In developing its global market balance, ICSG uses an apparent demand calculation for China that does not take into account changes in unreported stocks [State Reserve Bureau (SRB), producer, consumer, merchant/trader, bonded]. To facilitate global market analysis, however, an additional line item – Refined World Balance Adjusted for Chinese Bonded Stock Changes – is included in the attached table that adjusts the world refined copper balance based on an average estimate of changes in unreported inventories provided by three consultants with expertise in China’s copper market. Lower growth in world refined production, as explained above, combined with strong Chinese apparent usage resulted in a deficit of about 390,000 t in 2018. After adjusting the world refined copper balance for changes in Chinese bonded stocks the market deficit was around 450,000 t.
Based on the average of stock estimates provided by independent consultants, China’s bonded stocks are thought to have declined by 60,000 t in 2018 compared to the year-end 2017 level. Bonded stocks increased by around 5,000 t in 2017. As of the end of February, copper stocks held at the major metal exchanges (LME, COMEX, SHFE) totalled 395,125 t, an increase of 44,629 t (+13%) from stocks held at the end of December 2018. Stocks were down at the LME (-5%) and COMEX (-49%) and up at SHFE (84%).The average LME cash price for February was US$ 6,278.20 /t, up 5.8% from the January 2019 average of US$ 5,932.02 /t. 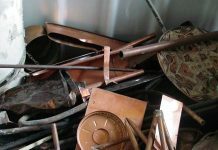 The 2019 high and low copper prices through the end of February were US$6,546 per tonne (on 25th Feb) and US$5,811 per tonne (on the 3th Jan), respectively, and the year average was US$6,096.87/t per tonne (7% below the 2018 annual average).